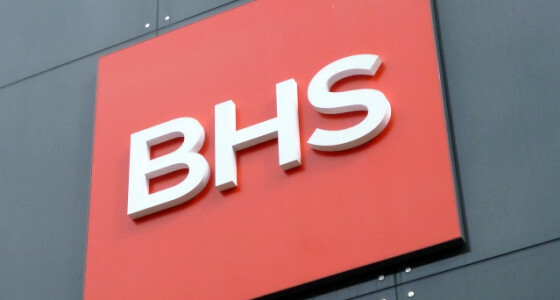 Despite their promise to pay pensions to over 20,000 current and former employees, the BHS fund is falling short by around £600 million. It’s unclear how the shortfall will be made up and what this will mean for all of those people relying on a pension – especially given the latest reports that the chain is set to close its doors. This isn’t the first time it’s happened either – a number of retail giants have faced similar fates – and thousands have been left worrying where their pension pots are. So, how you can tell if your pension is about to get BHS-ed? 1) You have a defined benefit pension. There are two types of pensions in the UK: defined benefit and defined contribution. Defined benefit pensions carry a promise from the employer to pay a certain salary (say £50,000 per year) after a certain age (say 65 ). The amount is usually based on your actual salary at, or close to, retirement. If you have a defined benefit pension, you’re relying on your employer to meet its obligation to you - an obligation that may only come due some 20 years from now. Defined contribution pensions, on the other hand, do not contain any promises. They are typically invested in shares, bonds and other assets. These assets have a history of growing over a long period of time, so they can help a pension increase in value. However, there are no guarantees about the rate of growth. In order to help savers get on track, employers are now required to contribute into workplace defined contribution pensions and the government will add £2 for every £8 you contribute. The PensionBee pension is a defined contribution pension. 2) The employer sponsoring the defined benefit pension is not putting enough money in. Because defined benefit pensions are reliant on employers making ongoing contributions (often even after you have left employment), how responsible an employer is can be measured by the pension deficit. The pension deficit measures the gap between how much the pension scheme owes employees in retirement benefits and how much it has actually set aside. BHS’s £600 million deficit is enormous, but many other pension plans could be in trouble, as UK companies collectively have a £100 billion deficit! Under accounting rules, every company is required to publish its deficit in its annual report, so if you have a defined benefit pension, it may be worth checking this out or calling your pension provider to discuss. 3) The employer sponsoring the defined benefit pension is not doing too well. Like BHS, many companies are facing challenges from a slow-growing economy and technological changes that have altered the way we shop and pay for services. If you have a defined benefit pension, you have to wonder whether the employer will be able to generate enough revenue to meet its expenses, pay dividends to shareholders and also fund the pension scheme. Many employers could fail over the next 20 years and they could well take the employee pension scheme with them. Although the government has a Pension Protection Fund to provide compensation for employees with defined benefit pensions at bankrupt companies, there is no guarantee that you will actually receive what your employer had promised, as there is a cap on payments of just over £30,000 per year. If this sounds familiar and you’re feeling worried, you can transfer a defined benefit pension of under £30,000 to a defined contribution pension like PensionBee. We can also take on defined benefit pensions of over £30,000, but you must seek the advice of a qualified Independent Financial Adviser (IFA) first. Bear in mind that not all IFAs can provide transfer advice, so make sure the one you speak to has the latest Financial Conduct Authority (FCA) qualifications. Ready to move your pension? Get started in 5 minutes. Why not take a look now and see how easy it is to move all your pensions to a better online home?